The most remote of Venezuela’s states was not supposed to have its election for State governor until late 2013. In the 2000 mega-election, the final result was very close. The TSJ ordered a partial re-do in early 2001. Since then, Amazonas went to the polls the year after other states did. Until now. Amazonas also presents the case where both Chavismo and the opposition are split. Still, both sides are confident those divisions are minor and won’t hurt their chances to win. Incumbent Governor Liborio Guarulla seeks his fourth consecutive term in office. He always ran under the PPT banner, but now he’s part of the MUD. His personal leadership in the state gave the PPT its two deputies in the National Assembly and helped Henrique Capriles in making Amazonas competitive in the 7-O election. 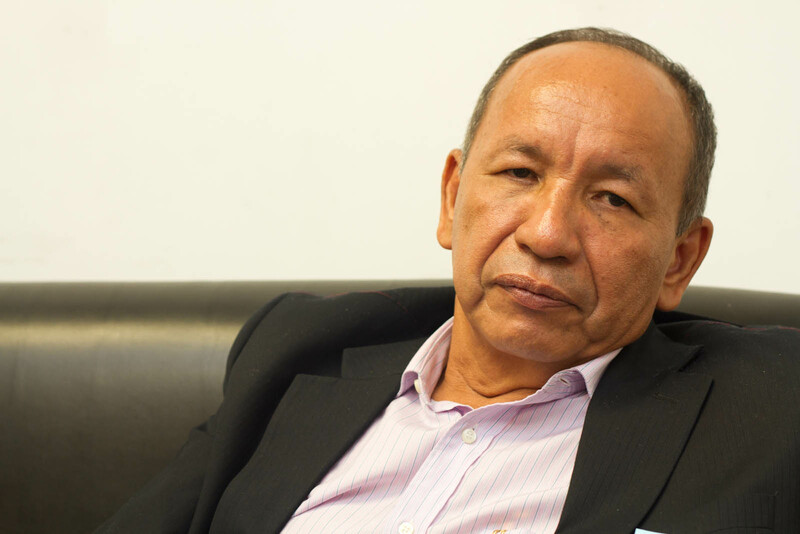 He claims his term ends in 2014, but the TSJ has validated the CNE’s decision to move the election. Former Governor Bernabé Gutiérrez (AD), one of the reasons that party is running with a different candidate. 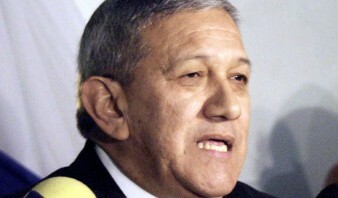 Guarulla’s personal beef with AD, and particularly with the former governor Bernabé Gutiérrez (defeated in 2001), made the white party launch another candidate for the governorship: lawyer and radio host Magno Barros. But there’s a division inside the ranks of AD-Amazonas, as part of them is actively behind Guarulla. 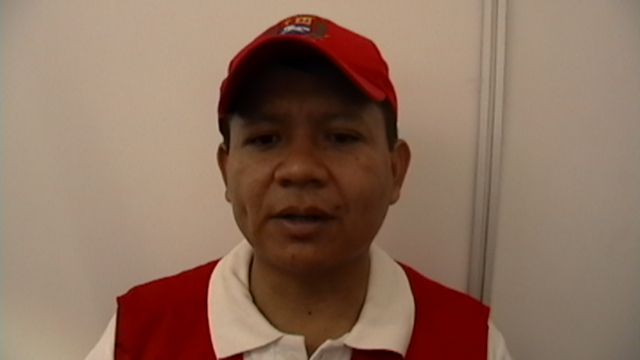 Since the government no longer supports Guarulla, the PSUV is forced to name a new candidate. 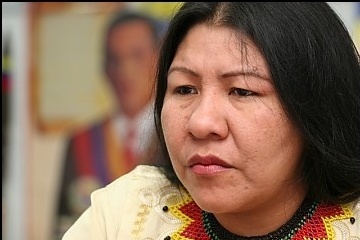 The chosen one is a woman: former Indigenous Affairs Minister Nicia Maldonado. Her platform is based on the idea of the “Indo-Venezuelan Socialism”. Her previous work as Minister was been questioned, including her management of the alleged (but never fully confirmed) massacre of 80 Yanomami people. But the Chavista alliance is not united here. 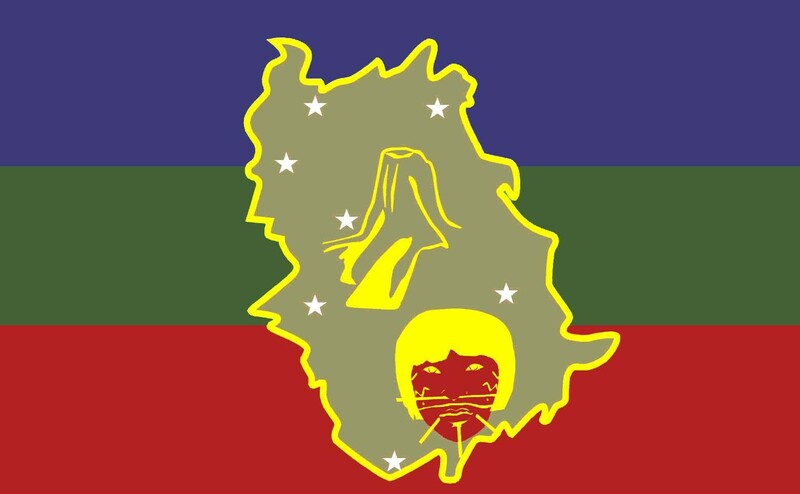 The PCV and the indigenous party PUAMA are supporting Deputy José Gregorio Mirabal, who is the back-up of PSUV MP Cesar Sanguinetti. His proposals are less ideological and more about the issues. He wants to stop Amazonas’ isolation from the rest of the country by improving basic infrastructure and public services. Amazonas could be a test of Quico’s argument for the 16-D: a popular governor that could be defeated by the Chavernment’s threat of active obstruction. It’s always possible that either of the two main candidates will win fair and square. Or maybe the scenario of twelve years ago will surface again. Hope that the voting machines don’t create problems like they did last month.